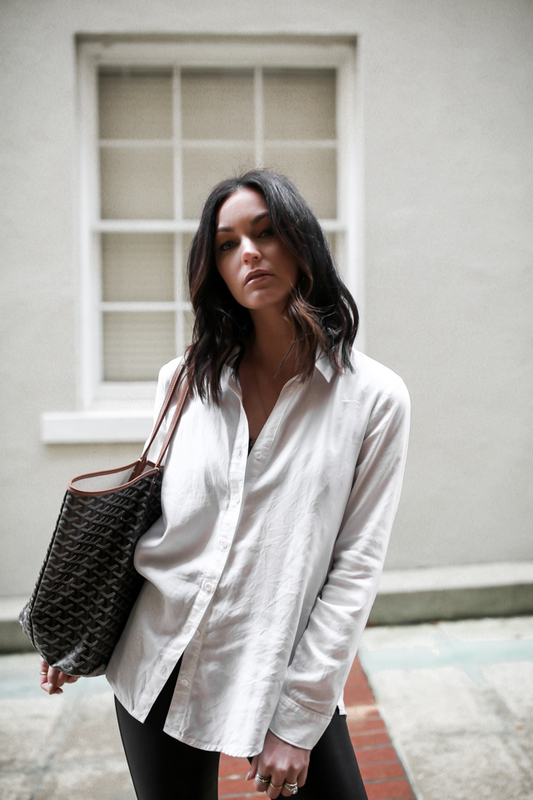 If there's one thing I constantly reach for in my closet, it's a crisp, white shirt. 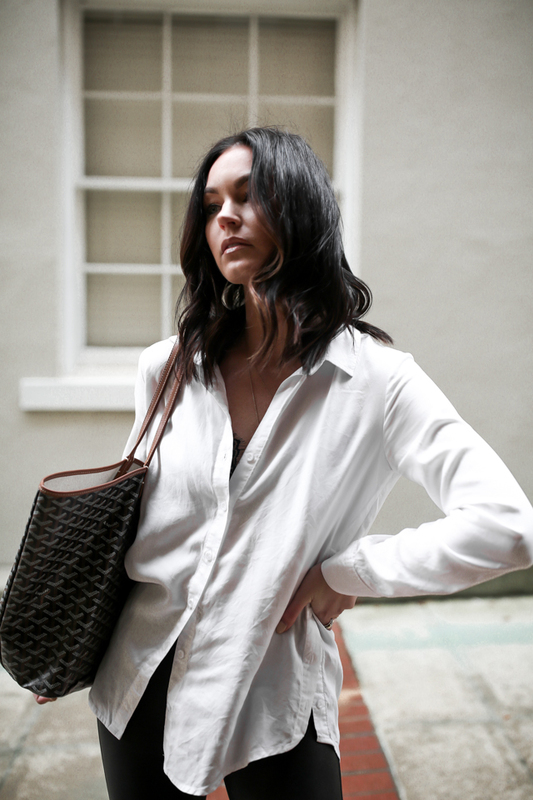 Whether it's a classic button-down or a basic tee, white tops pair so well with everything. This one specifically is my favorite because of the fit and the fact that it's so soft. It's not too perfect and looks great 'lived in'. Not to mention it's under $100! Moving onto these faux leather leggings - also under $100 and so comfortable. They're perfect for taking your easy daytime look right into happy hour! Lastly, my booties are on MAJOR sale! I'm so excited to FINALLY tell you some really exciting news we have happening this week - our first official home tour (inside and out of @thelovelycottage) is going to be featured in The Inspired Home magazine that comes out in stores on May 1st!! We've been prepping for a few weeks now and the team from Chicago is coming to Greenville tomorrow for a full day of shooting! We're so thankful to you all for following along with our little cottage and we can't wait to pour our hearts into this feature. We'll be sharing behind the scenes of the shoot all day over on @thelovelycottage instastories so stay tuned! I am so excited to see the shoot!